If the ocean, reef, rocks and beaches could talk, what would they say? Would we listen? Are we listening now? 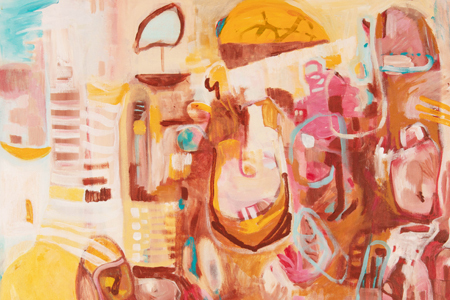 Linda Ash is a Kuranda based artist whose paintings are deeply centred in place, yet the abstractions create a feeling of freedom from the real. Exploring our connection to both land and sea, the paintings investigate imbalances, as well as celebrating a breathtaking beauty. In the shifting light of the shallows there are the patterns of sand and shell, as well as the curl of plastic masquerading as coral.